Delight Yourself in Him. 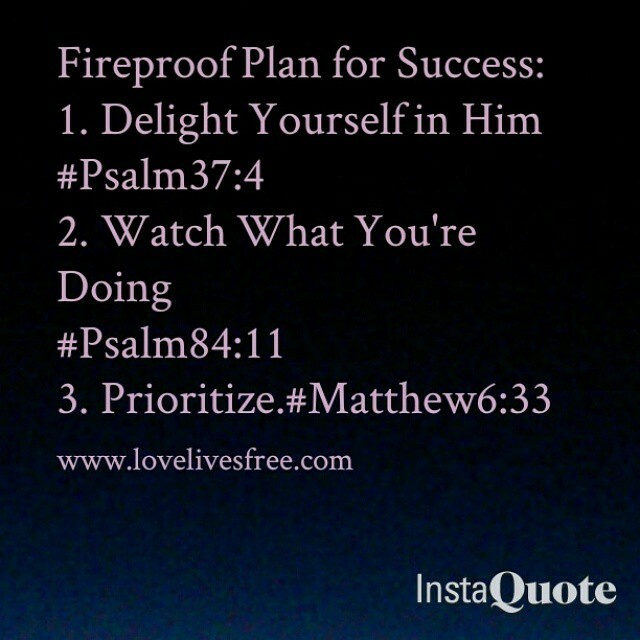 In Psalm 37:4, King David spills the beans on his success. He says, “Take delight in the Lord, and he will give you the desires of your heart.” Delight as a verb means to “please (someone) greatly,” and as a noun it means “great pleasure.” David uses it as a verb encouraging those who read to PLEASE GOD GREATLY. By doing so, He will give you the desires of your heart. If God becomes our greatest pleasure over anything else, nothing will be able to separate us from Him upon its arrival. It gives God great pleasure to be our greatest treasure. Watch What You’re Doing. Psalms 84:11 says, “For the Lord God is our sun and our shield. He gives us grace and glory. The Lord will withhold no good thing from those who do what is right.” The Psalmist wrote this in light of his personal experiences with God and the experiences of the children of Israel. Throughout the Old Testament we see this principle in action. Every time the children of Israel did what pleased God, things were great for them. They conquered nations. They had the best land. They acquired the spoils of war, and they lacked no good thing. But as soon as they opted to please themselves and walk in unrighteousness, the good life turned into a miserable one. There were famines, diseases, and death in the land. They were conquered by nations that once feared them. They were forced into exile; and the things they desired ultimately insured their demise. Knowing these things David wisely concludes, “do what is right.” Do the things that please God. Keep His commandments before you, and rid yourself of what dishonors Him. By doing this, God will graciously give you what is good for your life. Prioritize. In the middle of delivering a prolific sermon, Jesus summarizes a portion of it by saying these words, “But seek first his kingdom and his righteousness, and all these things will be given to you as well. ” (Matthew 6:33) If you take the time to read the entire chapter, you will discover that he was speaking of those things that causes most of us to worry or sin trying to acquire. In this verse, Jesus reveals our greatest need and shares the formula for Kingdom success without asking for an offering. To know God is the greatest need of every person on this earth; and pursuing righteousness should be top priority in every Christian’s life. If we want what is in God’s hand, we should first desire what pleases His heart. Dedicate your life to what honors Him and everything else will fall in place. Confession: The purpose of this blog was to encourage you to give God what He desires from you. We could spend a lifetime trying to acquire things and never find fulfillment, or we can commune with the Giver of life and always be fulfilled. Everything you need is in knowing your Creator. If we find the time to know God’s heart, he will graciously give us all we need and more. Prayer: Dear God forgive us for making our pursuit after you about us. We repent for allowing selfish desires to lead our pursuits. Show us the parts of our lives that do not honor You, and grant us strength to pursue what pleases you the most. Today we commit to loving you because of your goodness and not our greed. ← Have You Talked to God Today? Charity this blog is awsome ..keep letting GOD use you . And I am grateful for your faithful ear to hear what says the Lord. Thank you for reading and encouraging me to continue. It means a lot!!! Amazed & thankful to see the power of God, the love of God, the good & true of God & the holiness of him working both in & thru you. So proud of you! Thank you for allowing me to journey w/you. Right before my eyes you have grown to be a Women- one of resounding class, intellect, & grace, a “Satin-Hammer” as 1st lady says; so honored to get a sneek peek of the coming attraction!